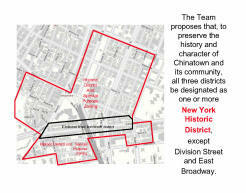 Below are the drafts of the Chinatown Working Group (CWG) Working Team proposed “Action Plans” (PAPs) and Study Area(s). These have been refined with the feedback from the February 1st, 2010 Town Hall Charrettes and subsequent brain-storming sessions. Four Working Teams have presented final proposed plans to the full CWG, the Community Boards and have received approval, while others have indicated they need more time before making final proposed Action Plans to the full CWG. The Action Plans and Study Areas endorsed by the full CWG will serve as the basis for a comprehensive, community-based 197-a Plan. 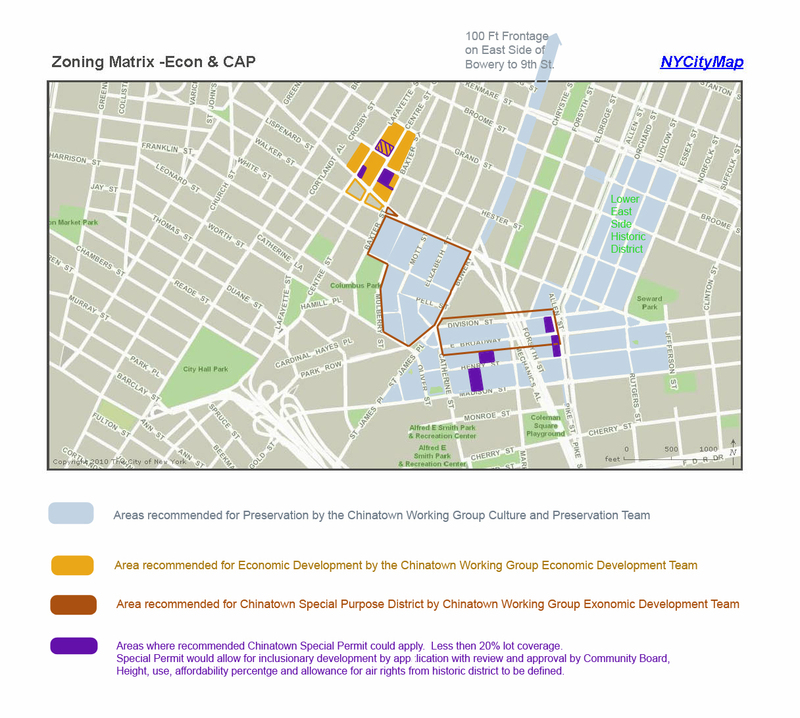 Beginning in April 2010, Manhattan Community Boards 1, 2 & 3, who would be co-sponsors of the CWG's 197-a Plan, conducted public hearings on the proposed PAPS and Study Area(s) We have posted updates and revisions here and have listed meetings in the Calendar on the home page, so that all interested parties may attend. 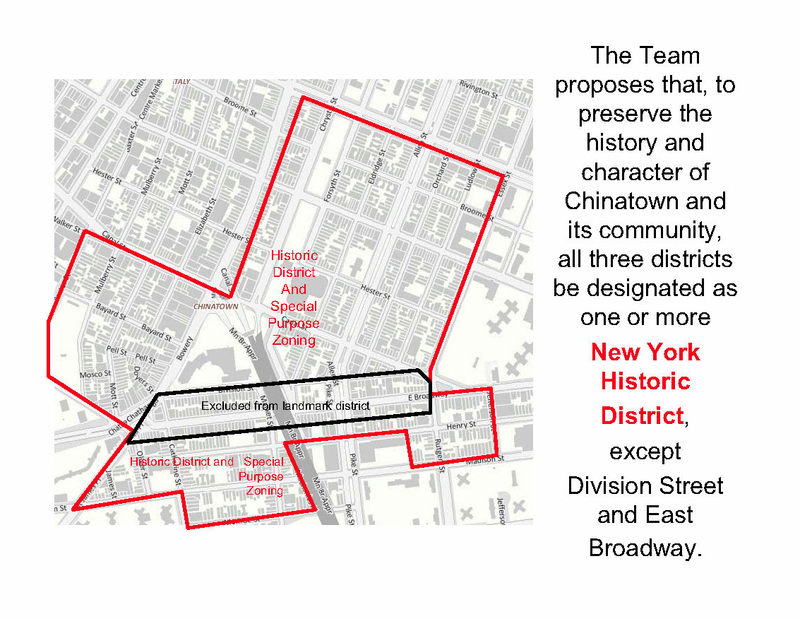 In April 2010, the Chinatown Working Group (CWG) received a $150,000 grant from the Lower Manhattan Development Corporation (LMDC) to hire a planning consultant to assist with our comprehensive, community based 197a Plan. 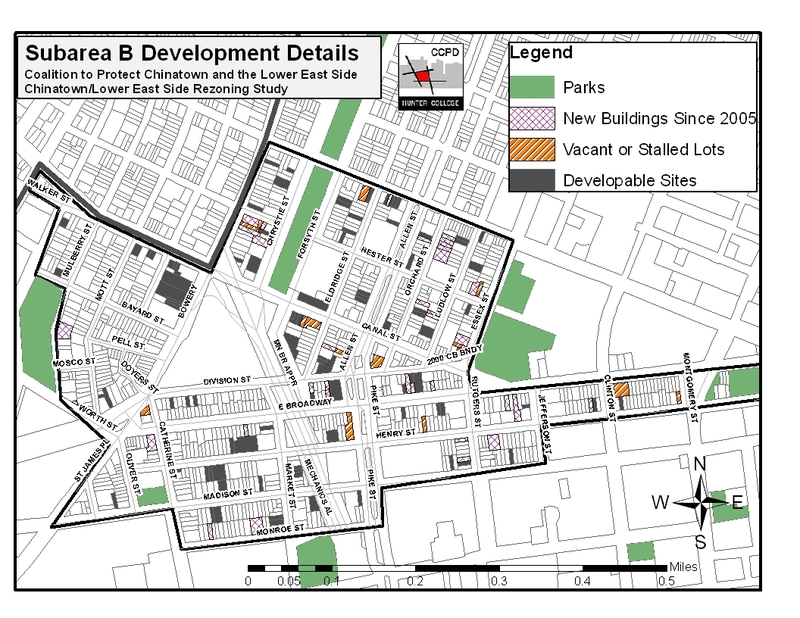 The NYC Economic Development Corporation (NYC EDC) was designated as the fiscal conduit. 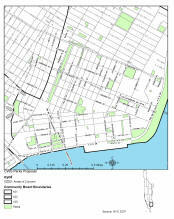 In August 2010 discussions were entered with the Fund for the City of New York as an alternative fiscal conduit. consultant. See Scope of Services for EDC Selection of Planning Firm Candidates, July 27, 2010 and the updated Planning Consultant RFP of Feb. 6, 2012. The proposed "Scoring Matrix" is the CWG's criteria for evaluating potential applicants. On July 12th the Full CWG adopted an Implementation Taskforce to carry forward the approved Action Plans. These represent proposed study areas that have been or are under consideration by the CAPZ Team. 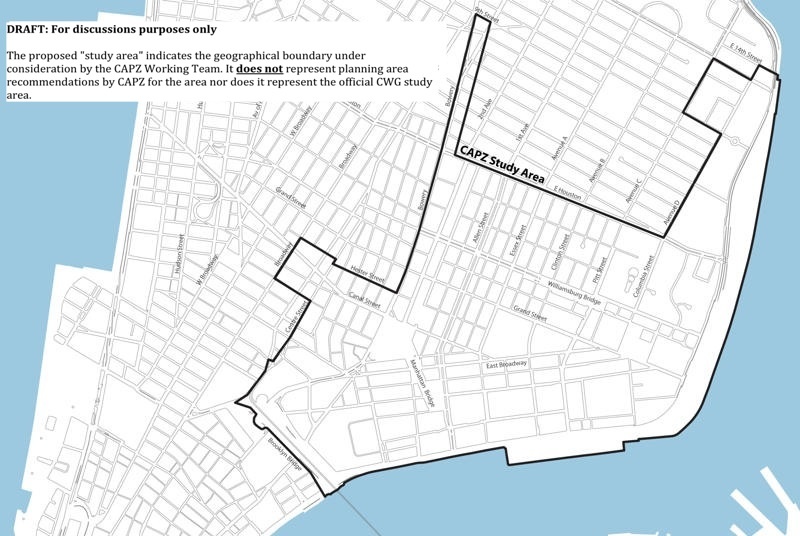 Specific recommendations by CAPZ for this proposed area are still being reviewed. 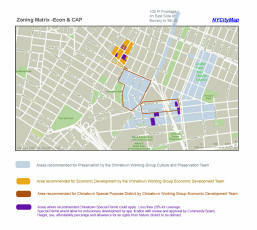 See Economic Development section for proposed areas for zoning modifications. The Action Plan is not yet available, pending further discussions. Education & Schools This Working Team has completed its Preliminary Action Plan which will be presented to Community Boards 1,2, and 3 for review in Nov and Dec 2010. This Working Team has completed its Preliminary Action Plan which will be presented to Community Boards 1,2, and 3 for review in Nov and Dec 2010.